Thanks to the societies who completed the questionnaire about the exhibition frames. If your society hasn’t filled out the questionnaire (even if you have no frames we want your comments), there is still time to do it. We need all societies’ feedback before finalising any decisions. Gone are the days we could store the frames for little or no cost and there will be a cost for societies in the long term as we try to maintain sufficient frames and keep them in good storage. In April the Royal Philatelic Society of NZ held a strategic review organised by their President Lindsay Chitty. The review discussed the past, present day and where the Royal is going to be in 40 years’ time. Members from around the country attended and even those who couldn’t be there provided their views. An interesting and wide range of subjects were discussed and the next steps will be implementing the better ideas. The answer to the question “should Federation carry out a similar strategic review?” is, in my view, a ‘no-brainer’ and I will be urging the executive set aside time in the near future to do this. Over the years Federation has achieved much but times are changing and we need to consider how we adapt to meet these and future changes. Is the reduction in society memberships a foregone conclusion? If it is what affect will this have on Federation? However, are these reductions something Federation and our members can tackle and stem or even counteract? I made the comment in the last newsletter saying we should be more connected to individual members, societies and clubs. I’m sure more improvements can be made. However, it’s a two way thing. How much contact do you make with Federation’s regional delegates and how much contact do they have with you? We really would like to hear more about club or society activities and any concerns they may have. Congratulations to those exhibiting in New York. For some of you it was the first time exhibiting at an FIP show. I was impressed that the exhibition results listed on the NY2016 web site could be downloaded as a PDF or Excel file making it easy to search on the New Zealand exhibits. It is the first time I can remember the breakdown of marks has been published from a FIP exhibition. Reports from visitors to the exhibition have been very positive. I would have loved to have been there but I can’t be everywhere and have only limited leave from work. After a feast of overseas exhibitions (two FIP, two FIAP plus three Nationals in Australia and one in Sharjah) this year, 2017 looks to be lean, with only three FIAP exhibitions planned and no FIP. At this stage there doesn’t seem to be any national exhibitions planned in New Zealand or Australia (Melbourne being an FIAP exhibition). We need such exhibitions to get new exhibits qualified for international exhibitions. Federation, NZ Post and the NZSDA are keen on a national exhibition in the north of the country – there hasn’t been any in that area since 2005. This year’s philatelic youth camp once again proved to be very successful and what a coup getting coverage on TV – congratulations to the organisers! Last, and certainly not least, I would like to thank Terry Isaac for the last 11 years he has served as Federation Treasurer. He has retired with the Federation books in very good order and I know we will miss him and his input into the executive committee meetings. Nominations for 2016 Federation awards must be with the secretary by 30 June 2016. Details about the different awards, qualifications for each along with nomination forms can be found on the NZPF website at http://www.nzpf.org.nz/about-us/philatelic-awards/. The 2016 youth stamp camp was held Sunday 17 April until Saturday 23 April 2016 at the NZ Cadet Force Training Centre, Haitaitai, Wellington. This was the fiftieth such stamp camp and, as indicated above by Stephen, this drew the attention of TV One who covered aspects of the camps and a very good item appeared subsequently during TV One’s evening News. It was obviously another very successful camp with the attendees all completing four, eight, sixteen or thirty-two page exhibits. All types of exhibiting classes were covered and presentations were made by camp leaders and visiting speakers including Brian Vincent and Alan Hollows (NZ Post). A number of adult visitors to the camp were most impressed with the enthusiasm and interest shown by the campers. The campers’ detective skills were tested with an ‘amazing race’ through downtown Wellington while their exhibits were being judged by a team of NZ National judges. The ‘race’ venues included the War memorial, Te Papa, Central Library, cable car, Botanical Gardens and Parliament. The Association of New Zealand Philatelic Judges will be holding a two-day seminar for judges and invited exhibitors in Christchurch 23 and 24 July. A very full programme has been planned over the two days. 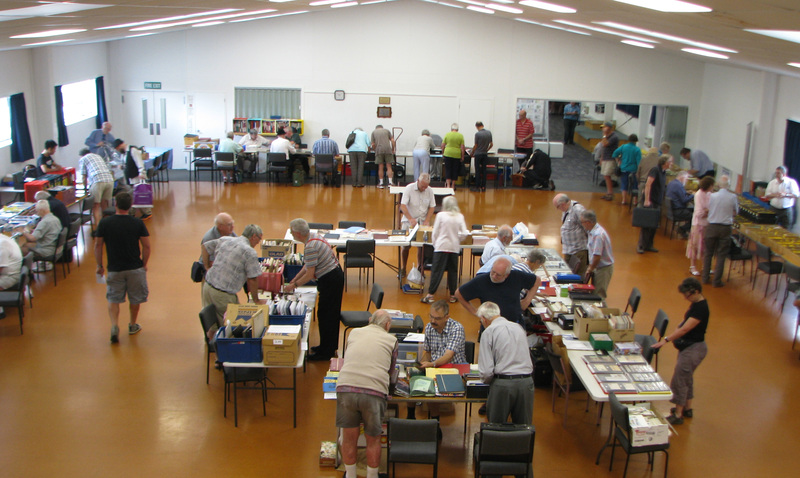 This event, formerly known as the Manawatu Convention, was run by the Manawatu Philatelic Society. A team led by Colin Dwyer injected new enthusiasm into the long-running event.There was more advertising, more dealers covering more collecting types, a good programme of speakers, interesting displays and this was rewarded with more attendees including many new ones. “Back in 2010 our club was having exhibition frame storage problems and it was costing us funds. For some years the frames had been stored in a club-owned metal shed on members’ properties. A bad storm damaged the shed badly and a club member volunteered her garage for storage. Unfortunately she became terminally ill and we were obliged to hire storage which was expensive. We had approached Brayshaw Heritage Park to see if we could install some storage (a shed or container) in the park for the frames and to perhaps find a meeting place in one of the buildings already there. 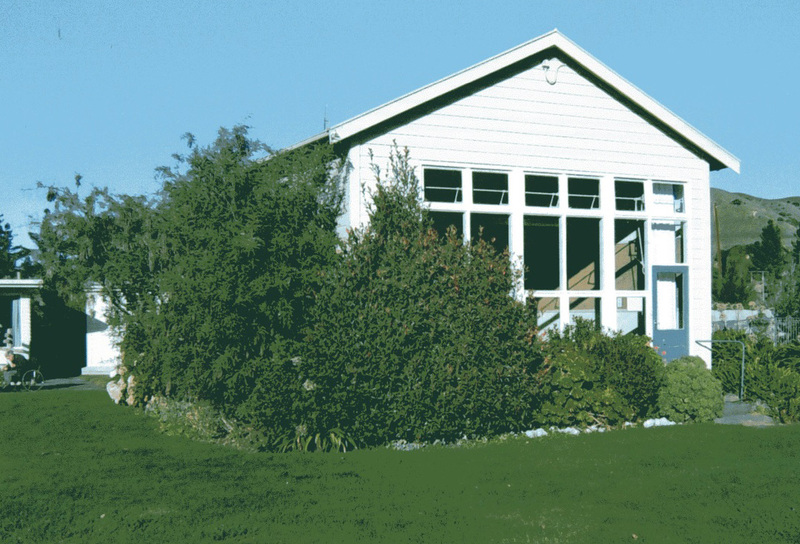 Investigations were proceeding when the Marlborough Historical Society was approached by the Ministry of Education about a redundant historic classroom they were planning to give away. The Historic Society passed the information on to us and we inspected the building and agreed. The building would have been suited to meetings, library and frame storage, workshop and mini exhibition/stamp fair use, etc. Resource consent and other consents were granted and a site allocated. On the eve of the move a stay was placed on the project by the Minister of Education who had been approached by a local interest group who wanted the building to stay in the immediate area. Feeling we had been hard done by, the Ministry of Education went out of their way to advise us when a similar building became available. Some months later they advised that a 1914 original school classroom at the recently closed Woodbank School at the Clarence River settlement was coming available. On inspection we found it eminently suitable and very well maintained. We would have to pay for the relocation costs and site clearance, disconnection and reconnection of services etc. A Special General Meeting of the club was convened to discuss the project and this saw renewed permission to proceed providing our property rights were protected and the club did not go into debt. We plan to use the Blenpex Fund, raise debentures, and apply for grants from organisations such as the Rata Foundation and Lottery Board amongst others. To relocate, the building needs the roof removed due to height restrictions and obviously have to be re-roofed. After three quotes we have selected our contractor. We have estimated total costs for transport and fully fit out in the range $45,000 – $55,000. To date we have cash and promissory notes for more than half the amount needed. This includes promissory notes from the Nelson Philatelic Society and the NZ Air Mail Society and the Christchurch Philatelic Foundation have agreed to donate some equipment. Any contribution to the project from other New Zealand philatelic clubs, societies or other organisations would be welcomed with open arms. The Wellington Regional Stamp Show is based around the NZ Stamp Dealers’ Association annual stamp show and is run by a joint committee of the four local societies (Hutt Valley, Kapiti, Upper Hutt and Wellington) with support from the Wellington-based Royal Philatelic Society. This year’s event took place 21-22 May 2016 at what is proving to be a very popular venue Chilton St James School in Hutt City. In addition to a good number of NZSDA dealer representatives the public was able to view some 40 frames of displays of material were provided from member collections in addition to entries for the Neville Harris Memorial Inter-club One-frame competition. 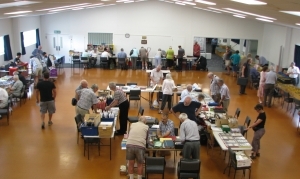 For the competition the four regular participating societies were joined this year by entries from Horowhenua and Manawatu Philatelic Societies and some 35 frames of a wide variety of material was there to be judged by two teams of national judges and the winner determined. A good standard was presented and the winner for this year was Manawatu. The organisers were pleased to see the dealers were well-supported and throughout the event a good number of people were seen taking a great interest in the displays. Plans are already underway for the 2017 event. The 2016 NZ inter-club 1-frame competition is to be held in conjunction with the Ambury Shield. Information about both events can be found on the NZPF website by checking the Waikato philatelic Society page or ‘What’s on’ in ‘exhibitions’. The main changes suggested in the Bill are described below. Actions required if a conflict of interest arises. Nominated ‘not for profit’ entities to whom surplus assets are distributed in the event of the society winding down. (c) Financial reports must be prepared in accordance with the Financial Reporting Act 2013, be signed by two members of the committee and forwarded to the Registrar within 6 months of the end of the society’s accounting period. Failure to maintain updated details of a society with the registrar, particularly those relating to the ‘contact’ person. Royal Assent (2018 at earliest) all societies registered under existing acts remain. The registrar will provide guidance material to assist societies to review their constitutions and procedures. First transition date (2020 at earliest) societies registered under existing acts will be deemed to be registered under the new Act but some provisions, particularly those relating to the content of the constitution and qualifications of officers, will not apply [ie paragraphs (a), (c) and (d) above will apply]. Second transition date (2022 at earliest) when all of the provisions of the Act will apply. The Registrar will be able to impose standard constitutional provisions if the society’s constitution does not comply. If an incorporated society is also a registered charity (apparently around 35% are) the Bill proposes some additional information that will be required by the Companies Office. However, the drafting of the Bill and its implementation is aiming for a ‘reporting once’ solution (ie the reports for the Companies Office will also suffice for the Registrar of Incorporated Societies). The Bill also proposes to simplify the process for amalgamation of incorporated societies. up to four years before reporting and enforcement provisions will come into effect. There is likely to be plenty of guidance provided by MBIE to assist societies to comply. Submissions on the consultation draft for the Bill have to be made before 30 June 2016. Tim Beach was the Commissioner for the half-national held in Canberra in March with the following results. Leigh Gravestock is a member of Hutt Valley Philatelic Society, Wellington Philatelic Society and Airmail Society of NZ. Leigh has been involved in stamp club organisations since 1988, initially with Wellington Philatelic Society and since 1998, the Hutt Valley Philatelic Society. Excluding a two year break in the mid-1990s, Leigh has been on society committees since 1989. 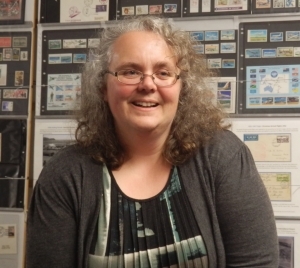 In 2006 Leigh became the first female President of Hutt Valley Philatelic Society. Leigh has been involved with Wellington Region stamp exhibition organising committees since 1993 initially in Stampex’95 as its secretary. She has held positions of Chairman of Huttpex 2007, Treasurer at The Capital Stamp Show 2015 and will be Jury secretary at Christchurch 2016. 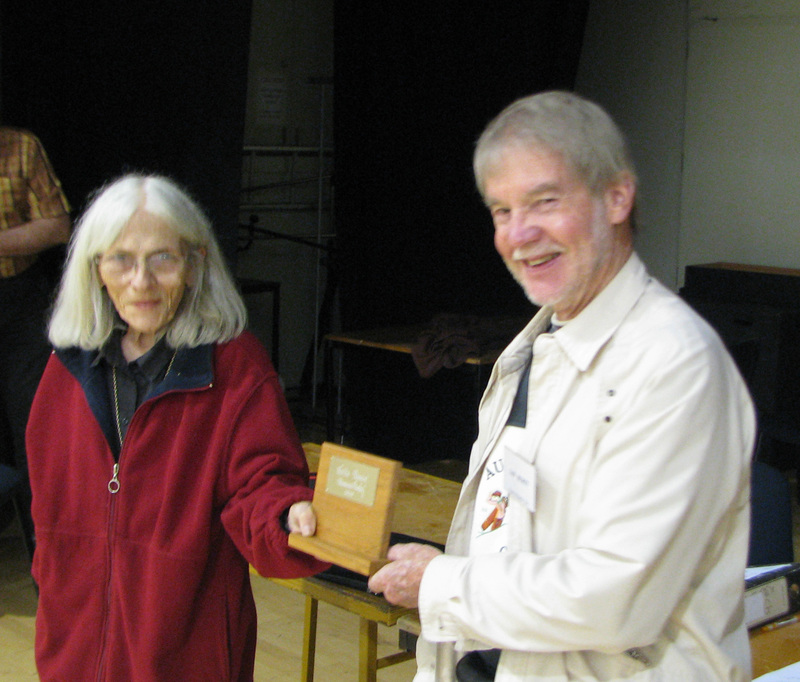 Leigh is often found in the Bin room at the annual Wellington Regional Stamp Show and the majority of Central Region hosted Exhibitions since 1995. Despite long evolvement with exhibitions, Leigh only started exhibiting in 2010 at Palmpex with ‘War in the Pacific’ and more recently with ‘Wellington Airport’ in 2013-14. Leigh has been collecting since she was 10, initially on everything, but after a 1995-2005 non-collecting period, she actively collects aviation, World War 2, Wellington Airport and more recently, Stamp Exhibition souvenir material. She is currently researching the history of New Zealand Stamp exhibitions. Note Leigh has agreed to be the Federation treasurer and will formally take on this role late in June.